C!SN 6.12.16: Events next week: Pride Festival and the Grove City Wine and Arts Festival. On this episode: Westgate Home & Garden Tour, Columbus Arts Festival, interview with Lucie Shearer and Jake Mensinger. While Jessica is on the mend, Burke and I chat about things to do in Columbus. The Columbus Pride Festival is Friday and Saturday, with a parade Saturday. This is a wonderful opportunity to show solidarity and love in Columbus. On Saturday, head to Grove City for the Wine and Arts Festival. Here is a change to taste a variety of Ohio wine! Also on the podcast, Burke and I chat about our weekend with our girls! We went back to Westgate on Saturday for their Home & Garden Tour. I am such a tree person, and Westgate is full of big, mature trees and charming homes! How often do you get to see a Little Library and have a fairy welcome you to tour a home? We got to see both during the tour! 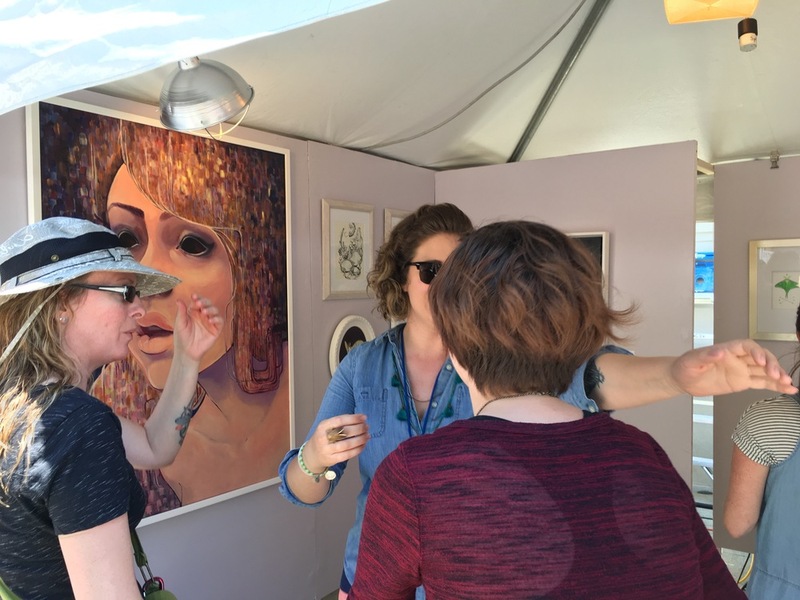 On Sunday, when it was a lot cooler, we browsed through the Columbus Arts Festival. Our goal: Lucie Shearer's booth! We got to see Lucie and Jake Mensinger, and I hope you take a look at their art via the links below, and enjoy the selection of our previously published interview with both Lucie and Jake on this podcast.